Back in September Dan and I went along to the wedding open day at Beaulieu. Now if you’ve been reading my blog for a while you’ll know that although he’s not got down on one knee just yet, the wedding chat has already begun. To my surprise Dan is actually just as into planning our future wedding as I am which is pretty adorable! 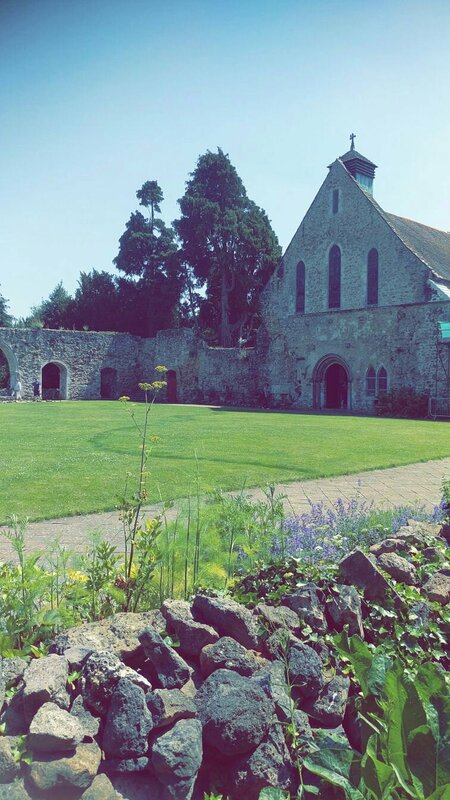 We have looked at a few venues online but after our first visit to Beaulieu back in the summer – see my review here – we’ve only found a handful of options that match up to our love of this venue. The open day was really casual which is just what we were after at such an early stage. The advisors were so helpful and talked us through their package options and timescales. 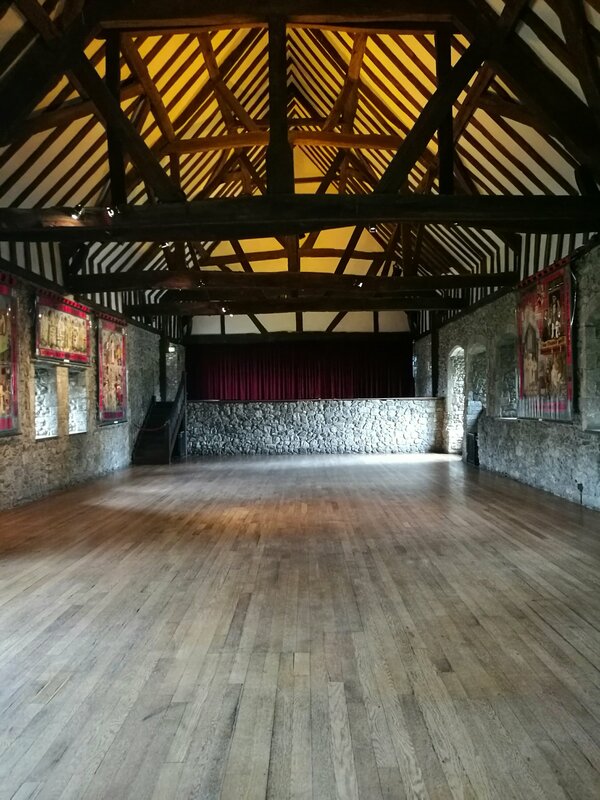 There are two venue options, the Palace House and the Domus in the old abbey. We just love the Domus, its a large beautiful hall with a bar below (or exhibition if you’re their visiting!). You also get use of the courtyard which is perfect for sunny weather. The abbey was laid out for a wedding and I just loved how simple the decorations here can be. The exposed beams, brickwork and tapestries mean it really doesn’t need much to look magical. They have a log fire that can be lit in winter or filled with candles or flowers in sunnier months. I am all about venues with a history or places we have some sort of connection and this place is just perfect. Not only do they have their own ice cream cart but they also have Hotel Chocolat hot chocolate bars available (I die). We also had a little taste of their strawberry champagne jelly and it was soooo good! Booking a venue is one of the most important tasks in planning a wedding and having your heart set on one particular venue does have the potential for disaster if it books up so we are still looking around for others. As Dan is from Norfolk we have considered looking at a few venues over there as well. We don’t have a date or even a particular season in mind, with Dan in the forces we have to wait to find out what his next draft is and plan the wedding around that. Our top picks are May, September or November 2019 but really it all depends on where he is sent next! We’re hoping to book our venue in March so we should have a fair amount of dates available to us then. I can’t wait to start posting more wedding content on here and I have a feeling it won’t be long. We actually went ring shopping last week (eek!) so watch this space!